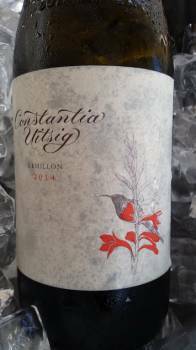 Recently departed from Constantia Uitsig after 16 years of service, viticulturist and winemaker André Rousseau certainly went out with a bang, both his white blend and Semillon from the 2014 vintage being rated 5 Stars in Platter’s 2016. The white blend is not yet released, but the Semillon (R145 a bottle) is very fine indeed. Made at Steenberg, it was barrel fermented and matured for seven months in 600-litre barrels, 15% new. The nose shows lime, tangerine, thatch and lanolin while the palate is lean but not severe and really well balanced, the finish long and pithy. At 14.5% abv, it’s a little riper than the wine has tended to be in the past but still not short of freshness. Super stuff. Previous articleMichael Fridjhon: Is age-worthiness still important?